Nowata Oklahoma is a little town about an hour North of Tulsa. There are various legends and strange stories about the town's past, but one of the oddest things is this sign on the side of one of the buildings downtown. 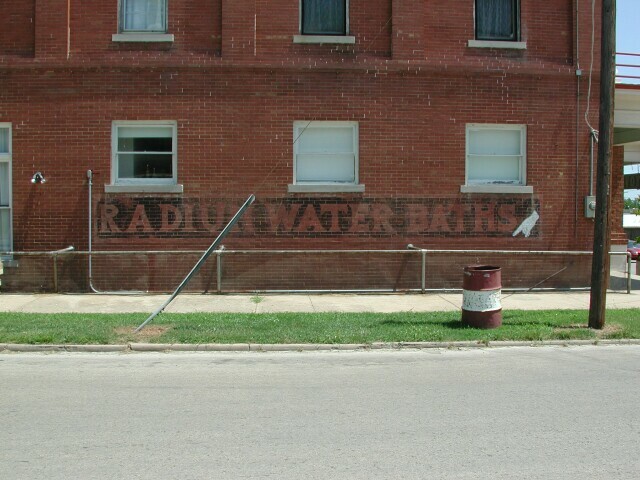 It seems that at some point (before the effects of radio activity were well known), the locals discovered that they could make water glow by putting radium in it. They opened a spa of sorts where people could pay money to come sit in a pool of toxic waste! It was considered therapeutic.